Envoyer Imports, Laguna Hills CA. Ruby. The mousse from a dark flavorsome bird and the smell of a horse from between the ears in a resplendent C-major chord of Syrah. 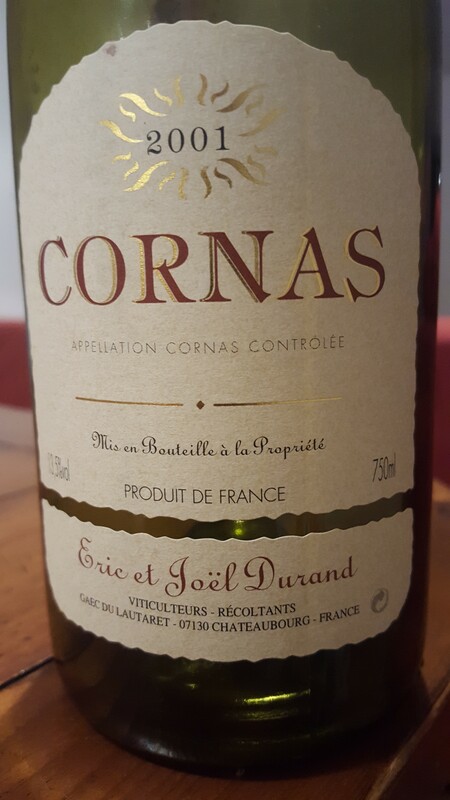 Scarlet and plum with Cornas’ personality and confidence at the end. Now.